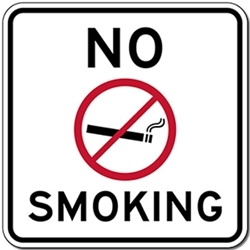 As of January 2014, 28 states have enacted statewide bans on smoking in all enclosed public places, including all bars and restaurants: Arizona, California, Colorado, Connecticut, Delaware, Hawaii, Illinois, Iowa, Kansas, Maine, Maryland, Massachusetts, Michigan, Minnesota, Montana, Nebraska, North Dakota, New Jersey, New Mexico, New York, Ohio, Oregon, Rhode Island, South Dakota, Utah, Vermont, Washington, and Wisconsin. However, these states exempt a variety of places from their respective smoking bans. All except six (Delaware, Montana, North Dakota, Utah, Vermont, and Washington) exempt tobacconists. All except four (Michigan, North Dakota, Vermont, and Wisconsin) allow hotels and motels to designate a certain percentage of smoking rooms. Many also exempt or do not cover casinos (9), private clubs (7), cigar bars (13), or certain small workplaces (8).